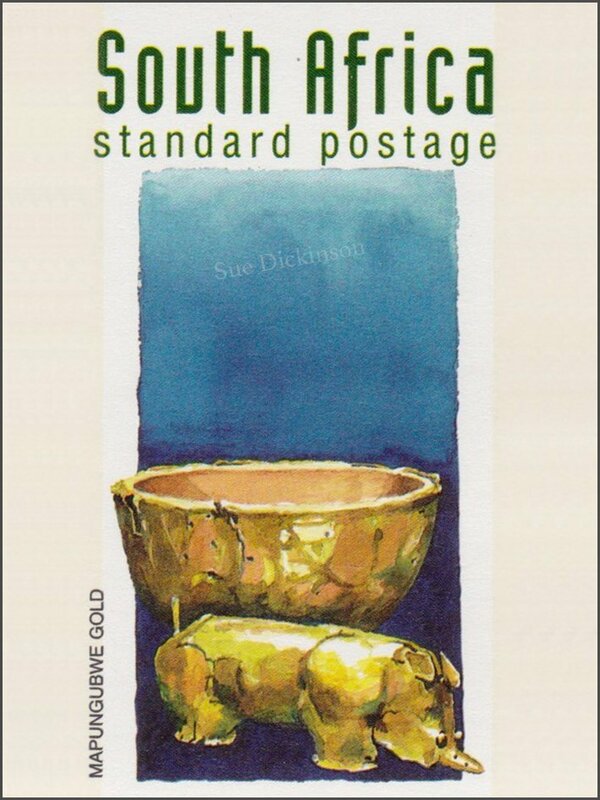 Golden objects were found in a royal graveyard on top of Mapungubwe Hill in the Limpopo Valley. In the 13th century AD, Mapungubwe was the capital of a local society grown wealthy from the coastal gold and ivory trade. Three graves contained golden beads, wire bangles and other objects made from sheet gold tacked onto wooden cores. The golden rhino probably represented a black rhino whose natural behaviour sometimes imitated that of a chief, and it was probably a symbol of leadership.